Intel Corp., Fannie Mae and Cisco Systems Inc. top a new listing the government plans to offer each year rating companies on the benefits they offer commuting employees. The Environmental Protection Agency hopes to combat air pollution by encouraging more companies to compete for top spots on its "Best Workplaces for Commuters" list, compiled from Fortune 500 companies. EPA's honor roll is top-heavy with computer and energy businesses that emphasize telecommuting. Next on the list are USAA, Sun Microsystems Inc., Oracle Corp., Advanced Micro Devices Inc., Texas Instruments Inc., Safeco and EMC Corp. The EPA wants to encourage more companies to offer such benefits as $30 or more a month for commuting costs, emergency rides home for parents with children and shower or locker rooms for bike riders. 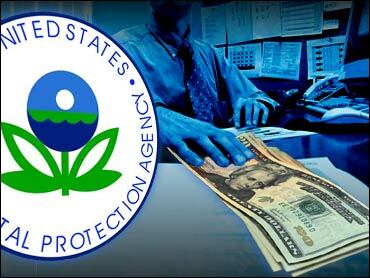 About 1,070 companies with a total of 2 million employees participate in EPA voluntary's program. Companies that make the EPA list offer at least three different types of commuter benefits to 15 percent or more of their employees, said Margo Oge, director of the agency's Office of Transportation and Air Quality. "Through this program we can have significant environmental benefits like saving fuel and reducing pollution, greenhouse gases and congestion," she said. Companies can deduct up to $100 a month in commuting expenses they provide to each employee. Workers do not have to treat the benefit as income. Rounding out EPA's top 20 are Hewlett-Packard Co., Apple Computer Inc., Devon Energy Corp., Nike, Reliant Energy Services Inc., IBM Corp., Wyeth Corp., WellPoint Health Networks Inc., Dynegy Inc. and El Paso Corp.